Young team with enthusiasm for work....quick, accurate, with good ideas. It was a real pleasure to work with Banana Online Marketing Agency. It was a positive experience from start to finish. Their team was highly responsive to our needs throughout the process. 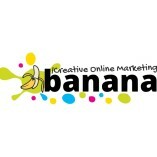 We highly recommend Banana Online Marketing services. They are very diligent and exact in what they do. Loved to work with them!